I know we’ve discussed before that a boring business doesn’t have to have a boring blog. We get this question a lot when it comes to Facebook too. Plenty of businesses think that their business isn’t interesting enough to have a vibrant Facebook community. But a recent visit to a pediatric dentist proved them all wrong. 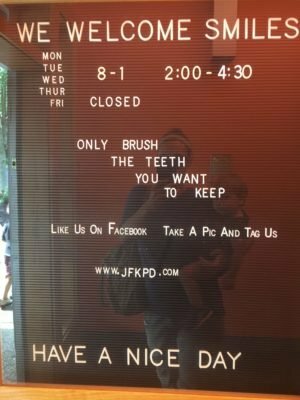 My son recently had two awful cavities and we decided to opt to use a pediatric dentist rather than our regular dentist so he could have the best experience possible. 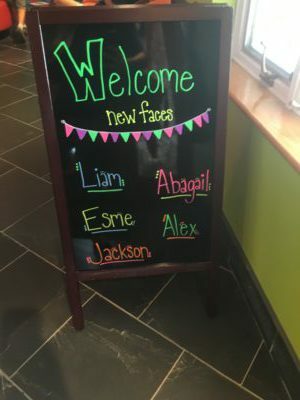 When we first walked in the door, they were welcoming and made sure to mention my son by name. They also encouraged us to check in on Facebook. Being in the business I’m in, this sparked my curiosity. I checked out their Facebook page while my son had the procedure done and was pleased to see they had highly engaged, happy patients. People, at the business’ prompting, posted pictures of their happy children with clean teeth. The business also posted pictures of their staff celebrating birthdays, dressed up for Halloween and engaged in pumpkin decorating contests. They did not post detailed procedures of how to do a root canal. That would have been boring and horrifying. 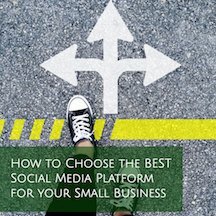 Just because your business is on Facebook does not mean you have to post the details of what you do all day. If you think people may not care about that, you’re probably right. But they do care about YOU and your staff and whether they are welcome in your business. They care if they can trust you. They care if you do a good job. They care what your finished product looks like. You can be engaging and professional without being boring. Facebook is an excellent medium to share what makes your business special and why your customers think so too.